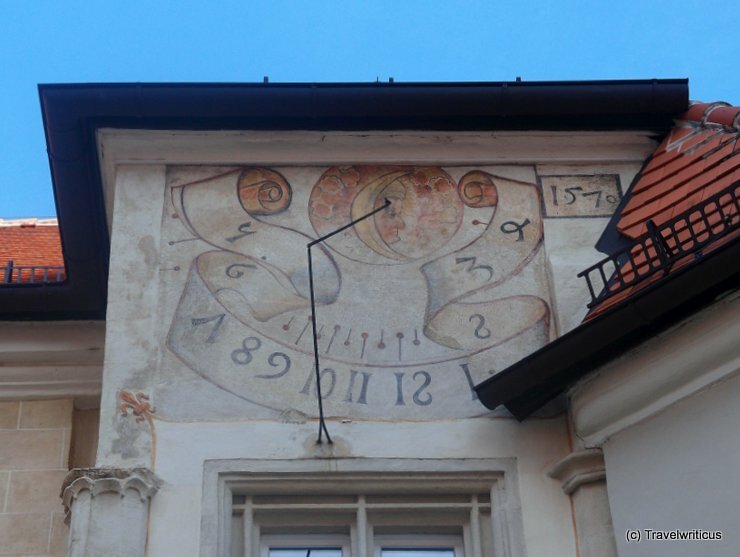 This sundial dated with the year 1570 is shown at the Leopoldihof (St Leopold’s Courtyard) of Stift Klosterneuburg (Klosterneuburg Abbey). This entry was posted in Sundials and tagged Austria, Klosterneuburg, Lower Austria, Wienerwald by Travelwriticus. Bookmark the permalink.